Paradise Machine continually strives to meet our customer’s quality and delivery requirements in every operation. 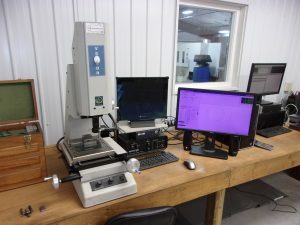 All of our measuring tools are well maintained, calibrated by certfied vendors and are all NIST traceable. Product is identified, performance monitored and recorded with records kept for as long as required by contract. Paradise Machine employees are fully committed to meeting or exceeding customer expectations by delivering defect free products and services on time, every time.